Free agency has begun and we have seen a flurry of moves already in a short amount of time this offseason. How will all of these moves affect the draft? Here is my latest mock draft. Nobody really knew what Chip Kelly would do when he assumed control of all personnel decisions for the Philadelphia Eagles back in January and in only the first few days of free agency, Kelly has already left his mark on the franchise. And by the looks of it, Kelly is being as bold and borderline crazy in doing so. We are only one week away from the beginning of March Madness, and only a few days from Selection Sunday, so you know folks are getting excited. The television schedule is out for this year's tournament and there it is essentially the exact same as you saw with last year's tournament. It is important to note that this tournament will end a 33-year streak of the National Championship Game airing on CBS as it will air on TBS next year and then will alternate until the conclusion of the television contract. 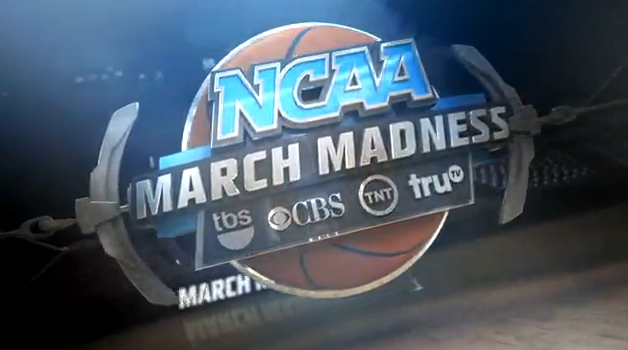 So with all of that, here is the television schedule for the 2015 edition of March Madness. The craziness of this NFL offseason has only continued this week with the news that broke on Tuesday night that star cornerback Darrelle Revis, fresh off winning a Super Bowl, will be returning to his first NFL team, the New York Jets. He will be receiving the biggest contract ever awarded to a defensive back with a five-year, $70 million contract with a whopping $39 million guaranteed. We all know that the Jets were very interested in bringing back Revis, especially after Woody Johnson tampered with him back in December and had been reported pushing new GM Mike Maccagnan to sign Revis, but is it a good move? Here are my thoughts. The fourth and final tournament to be held in Las Vegas Paradise, Nevada is that of the Western Athletic Conference, which kicks off tomorrow. The easy tournament favorite has to be the Aggies of New Mexico State as they lost only once during conference play and won the regular season crown by five games over Grand Canyon and UMKC. They are also the three-time defending champs of the tournament. That said, we have seen crazier things happen in these conference tournaments. Thus, here are my predictions. The Big Sky Conference kicks off their conference tomorrow in Missoula and given that the conference tournament will be held in Missoula, thanks to Montana winning the regular season title, gives Montana a significant advantage this weekend. After all, every top seed since 2010 has won the conference tournament and thus gotten the conference's automatic to the NCAA Tournament. Will we see the same this week? Here are my 2015 Big Sky Tournament predictions. It was only one year ago that the Big West sent their seventh-seeded team in the conference tournament to the NCAA Tournament in Cal Poly. And they beat the fifth-seeded team in the championship game to get there! Last year's Big West Tournament was absolute chaos, will this year be anyway similar? Here are my predictions. The second American Athletic Conference Tournament kicks off tomorrow in Hartford with 11 teams in the mix, one more than last year's ten after adding East Carolina, Tulane and Tulsa after losing Louisville, the defending champion, and Rutgers. The favorite of the conference has to be the regular season champion SMU, who won their first regular season title since 1993, but there are some other clubs trying to solidify their tournament bids if not stealing that automatic bid. Many eyes are on Connecticut, the defending national champions, as they have a de facto home-court advantage. All in all, plenty to keep an eye on. Here are my 2015 American Tournament predictions. The Sun Belt Tournament will be in New Orleans this week for the first time since 2002 and for the second straight year, the Panthers of Georgia State sit as the top seed and the favorite. However, they fell in the championship game to Elfrid Payton and Louisiana-Lafayette last year. Will they be upset again, with Georgia Southern, Louisiana-Monroe and Lafayette once again in the mix? Or will they get to their first tournament since 2001? Here is my predictions for the 2015 Sun Belt Tournament. Mike and Ben get the jump on the Syracuse basketball infractions and the future of Jim Boeheim. With NBA action this week, has Russell Westbrook solidified himself as an MVP candidate or is James Harden better? We touch on laughable and/or outlandish stories in the news this week and plan for the NCAA conference tournaments before Selection Sunday, March 15, including American University. As the Big Ten Tournament returns to the Windy City, it will feature an expanded look after the addition of Maryland and Rutgers to the conference. There is a good amount on the line this week with Wisconsin trying to get a one seed and a few teams (Purdue, Indiana, Illinois) on the at-large bubble. Couple that with the teams on the outside looking in to secure a tournament berth with the automatic bid and the teams trying to improve their seeding and you've got some fun in Chitown. Here are my predictions for the 2015 Big Ten Tournament. For the sixth straight year, the Big 12 tournament will be held in KCMO. The Big 12 had a pretty wild year with only two games separating the first-place team (Kansas) from the fifth-place team (West Virginia). We don't even know who the second-best Big 12 team is. All in all, it should be a wild week in Kansas City. Here are my predictions for the 2015 Big 12 Tournament. As the 2015 Southeastern Conference Tournament kicks off this Wednesday in the Music City, the only storyline that anybody cares about is Kentucky's drive to be the first undefeated team since Indiana in 1975-76. Given how the conference is not that deep, one would expect the Wildcats to run right through the tournament but you never know with these conference tournaments. Here are my SEC Tournament predictions. What is with all of these blockbuster trades in the NFL this past week? First it was the Kiko Alonso-LeSean McCoy deal between Philadelphia and Buffalo, then it was Brandon Marshall heading to the Jets but now we have a real whopper: the Saints are sending star tight end Jimmy Graham plus a fourth-round pick to the Seahawks for their 2015 first-round pick and center Max Unger as first reported by Jay Glazer. This is a massive deal in shaping the NFC, let's break it down for each. It is the second year of the "new" Big East Tournament and it follows a resurgent regular season that leaves the conference poised to get as many as six bids to the NCAA Tournament. All eyes are now on Villanova, who dominated the conference and only have lost two games all season, to see if they can get a top seed. The easiest way for them to make their case is to run through the conference tournament this week, but a loss could relegate them to the two line. Here are my predictions for the 2015 Big East Tournament. The Pacific-12 Tournament commences tomorrow afternoon at the MGM Grand, yet another conference tournament to be held in Las Vegas (technically Paradise). It has been a funky year for the conference as it features a legitimate national championship contender in Arizona, another really good team in Utah, one team likely in Oregon, a couple teams on the bubble (UCLA and Stanford) and a mess of the rest. Therefore, there is much on the line this week. Here are my 2015 Pac-12 Tournament predictions. 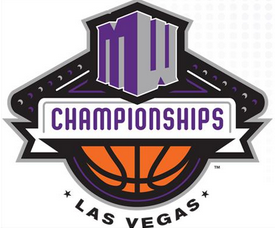 Another of the four conferences to hold their conference tournament in Sin City (specifically Paradise) is the Mountain West, who have only held their conference tournament there. Unlike in past years, the Mountain West seems to be lacking in the depth that it has had in past years with only three teams likely to get to the NCAA Tournament with some traditional powers having off years. That said, this is always a fun tournament and who knows who can break through and get that automatic bid to the Big Dance. Here are my predictions for the 2015 Mountain West Tournament. There are 13 teams in the Southland Conference, but there are only eight competing in this week's Southland Tournament in Katy, Texas. How does that happen? There are three programs that are ineligible for postseason play due to the failure to meet the NCAA's Academic Performance Rating requirements in Central Arkansas, Houston Baptist and Lamar, and two programs are in transition from Division II to Division I in Abilene Christian and Incarnate Word. What that doesn't change is that the defending tournament champion Stephen F. Austin, remains the overwhelming favorite in this tournament. Will the Lumberjacks advance to their second straight tournament or will someone pull the upset? Here are my 2015 Southland Tournament predictions. Which is the mid-major conference ranked highest in conference RPI? It would be the Atlantic 10 Conference, whose conference championship kicks off this Wednesday in Crooklyn. This year, the tournament contains 14 teams after the addition of Davidson to the conference and the Wildcats sure made an impact in their debut season as they won the conference regular season crown and thus are the top seed in the conference tourney. The A-10 has a few teams in the mix for the Big Dance, making that automatic bid all the more valuable. Who will lock up their tournament bids this week, including that auto-bid? Here are my predictions for the 2015 Atlantic 10 Tournament. 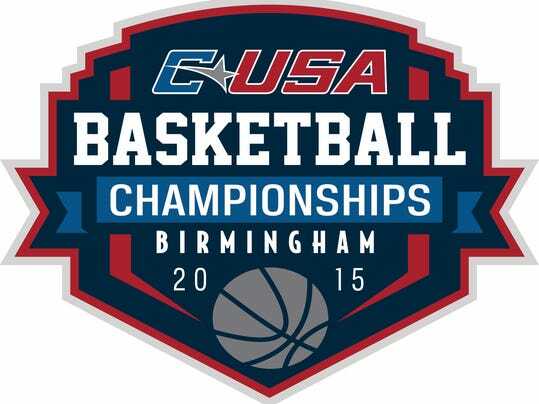 For the first time since 1999, the Conference USA Tournament is headed back to Birmingham. And after every tournament final in the history of the conference had been broadcast on CBS, there is a new broadcaster for the tournament final in Fox Sports 1. Whereas once the conference was one of the mid-majors, now the conference is relegated to only getting their conference tournament champion to the Big Dance. Therefore, there is greater importance on this tournament. Who will get that automatic bid to advance to the tournament? Here are my predictions for the 2015 C-USA Tournament. The Atlantic Coast Conference will kick off its tournament tomorrow, the first time it will be held on a Tuesday, and it will conclude on a Sunday for the first time in over 30 years. It will also feature one less team than the record 15 it fielded a year ago after Syracuse announced a self-imposed postseason ban last month ahead of expected NCAA sanctions that were handed down this week. The conference appears poised to be getting two one seeds in the upcoming NCAA Tournament but there are also some conference sitting on the bubble that could use some wins to secure at-large bids, if not getting that automatic bid. 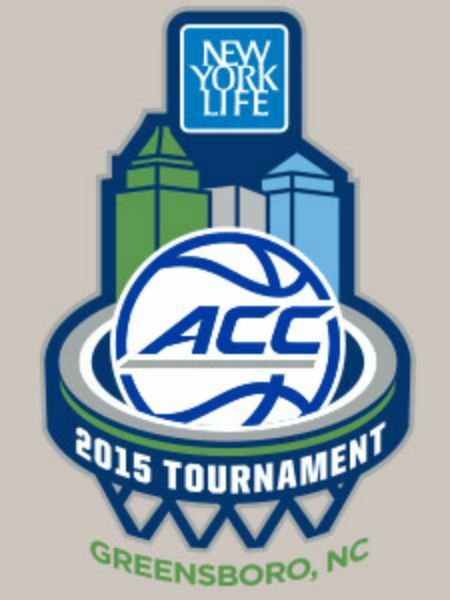 Here are my predictions for the 2015 ACC Tournament. The Southwestern Athletic Conference kicks off their conference tournament tomorrow in Space City. Similarly to last year's tournament, but not to the same extent, there are two teams that are playing in the conference tournament but are ineligible for the NCAA Tournament in Alabama State and Southern. However, those two are the second and third seeds which means they could very well win the conference tournament. In that scenario, the furthest-advancing eligible program will get the conference's automatic bid to the NCAA's. Here are my predictions for the 2015 SWAC Tournament. The Mid-American Conference Tournament kicks off today and with a three-way tie for first place in the conference (albeit across two divisions), and three more teams within two games of first, it shapes up to be wide open. Figuring that, who will get the conference's automatic bid to the 2015 NCAA Tournament? Here are my predictions for the 2015 MAC Tournament. The NFL's free agency process began at the stroke of midnight today and already one of the biggest star on the market has found himself a new team. It took a six-year, $114 million ($60 million) contract for the Miami Dolphins to bring defensive tackle Ndamukong Suh, formerly of the Detroit Lions, to town. It is the biggest contract ever for a defensive player, eclipsing J.J. Watt's six-year, $100 million contract from a year ago. Let's break it down. The Mid-Eastern Athletic Conference kicks off the second week of conference tournaments with their very own tournament in Hampton Roads. As with last year's edition, the Eagles of North Carolina Central are the runaway favorite. Central was able to run through the conference tournament with relative ease last year, will this year be the same? Here are my predictions.